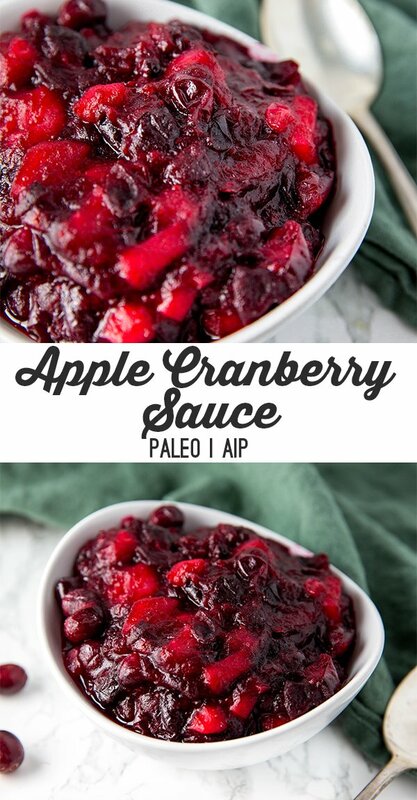 This apple cranberry sauce is made with fresh ingredients and zero refined sugar! It’s paleo, AIP, and everyone will love it at Thanksgiving. The jellied cranberry sauce from the can was always a must at Thanksgiving for my family. It would literally still have the indentation of the can on it when my mom put in on the table. My dad loved it, but I was pretty skeptical. It’s not like I didn’t like cranberries, I just didn’t want to eat something shaped like a can! Once I started learning how to cook, I decided to take on cranberry sauce on my own. How hard could it be, right? Actually, it’s really easy! 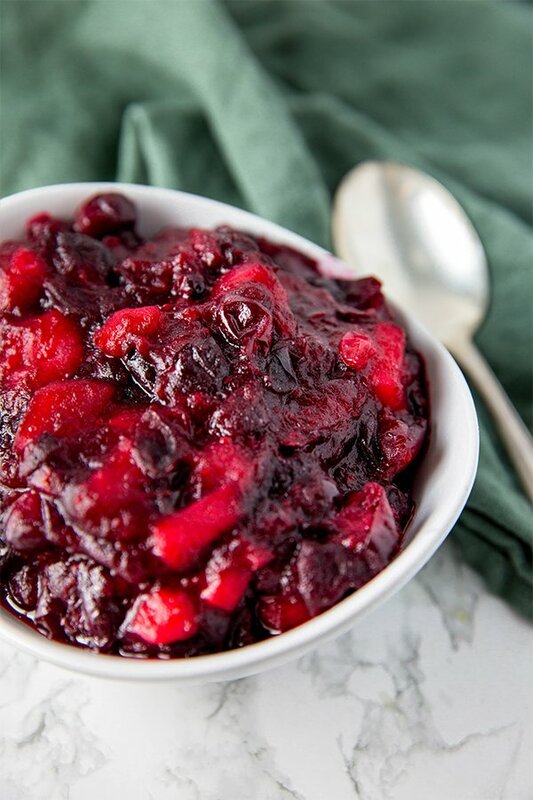 There are a few different ways that you can make cranberry sauce. I often make an orange cranberry sauce, but this year I decided to mix it up with a fresh apple cranberry sauce! 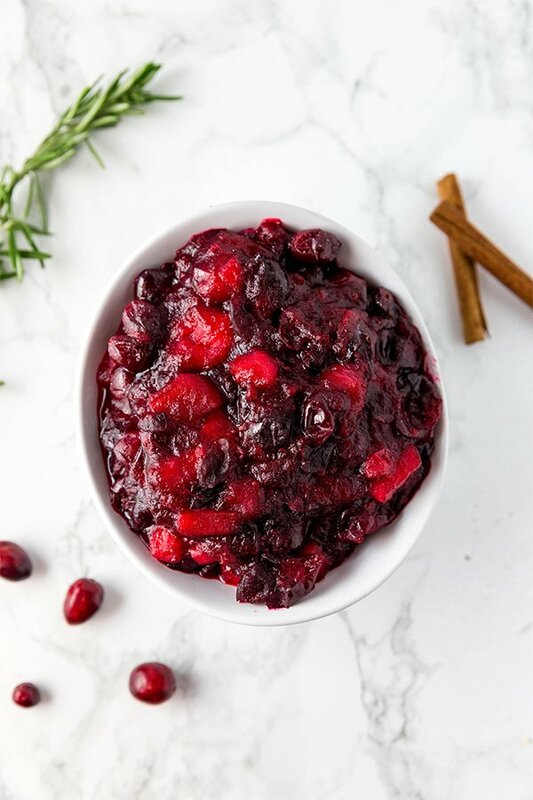 It’s the perfect combination of fall flavors that are not too sweet but still taste like traditional cranberry sauce. During the holidays, the last thing that anyone wants is another labor-intensive meal that’s going to take hours in the kitchen. 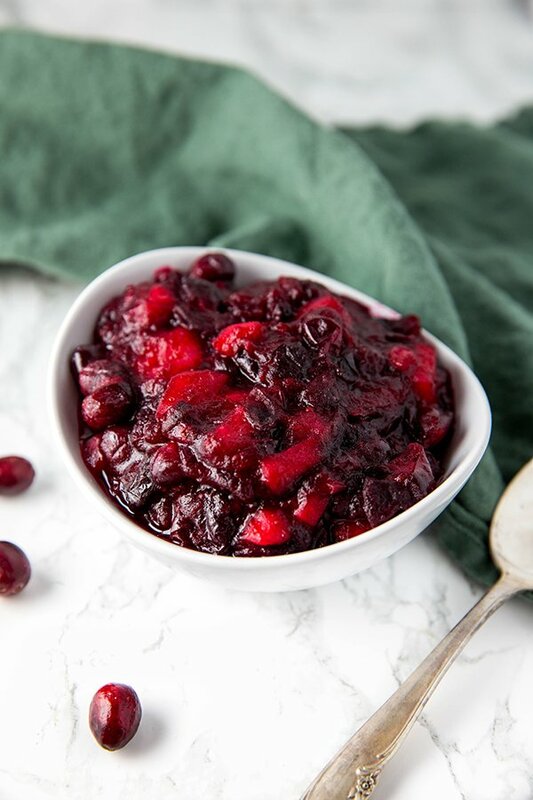 This cranberry sauce is anything but that! All you need is a few ingredients and about 10 minutes on the stove to prep the perfect Thanksgiving side dish. It tastes best chilled, so I recommend prepping it first, or the night before! This is the time to get fresh cranberries! You can buy these at most grocery stores this time of year. However if you can’t find it, you can sub frozen… just make sure to adjust the liquid if needed. Granny Smith is what I think tastes best in this recipe, but other apples work as well. Rather than using sugar, we’re using maple syrup to get the added touch of sweetness. Both the cranberries and the granny smith apple are tart, so I wouldn’t skip this ingredient. Wow, this is very, very tart. I followed the recipe exactly. Next time, I’m going to use a sweeter apple. Delicious. I did end up adding more maple syrup than the recipe calls for. Cranberry sauce went over well at our office thanksgiving meal. Will probably become a staple holiday meal recipe for me!